More than 300 youth participated in the Utah State University Extension 4-H State Contests held July 11 to 13 at the USU campus. The event is an annual competition of youthful talent. High school students from around the state compete in events ranging from fashion review and video production to shooting sports and livestock judging. Participants who performed well may receive an invitation to participate in the national competition at the Western National Roundup in Denver, Colorado, next January. In addition to competing, 4-H youth had the opportunity to participate in events that promoted service, science, healthy living and leadership. Participants directed a blindfolded teammate up a climbing wall, learned nutrition facts as they made gourmet grilled cheese sandwiches and experimented with the basics of soldering. The state contests culminated at a closing banquet, where several top competitors displayed their talents and received awards, including many participants who received blue ribbons for outstanding performances and will compete in Denver. 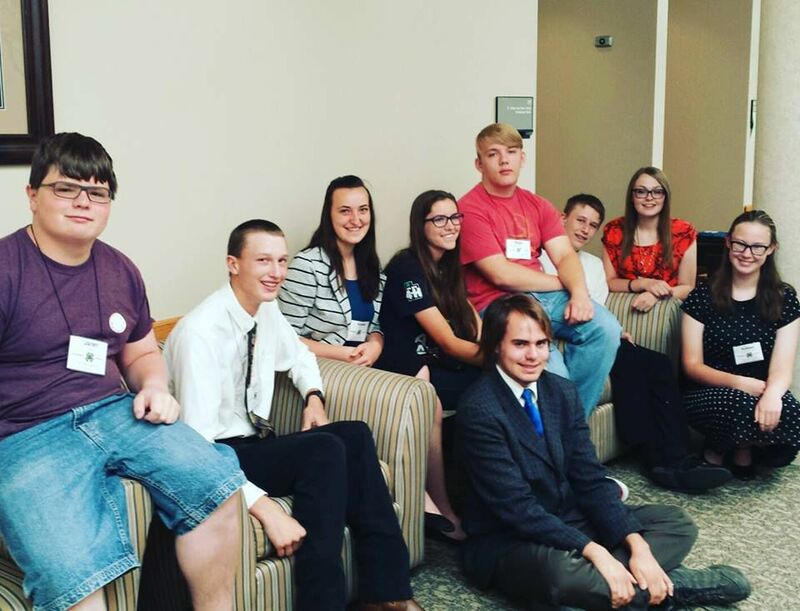 The Utah State 4-H Office also announced new 4-H State Officers for 2016-2017 at the state contests. Madison Allen from Washington County, Devin Bunnell from Utah County, Judd Jensen from Salt Lake County and Carter Goff from Washington County will lead youth across the state in different 4-H events, representing each of the 4-H Mission Mandates throughout the year. Key sponsors that made this year’s contests possible include the Utah 4-H Horse Council, Utah Department of Agriculture and Food, Dairy Council of Utah and Nevada, Dallas and Leann Holmes, the USU College of Agriculture and Applied Sciences and Speeds Power Equipment. For additional information about 4-H youth programs, visit utah4h.org.